This is a conversation I had with Alastair McIntosh, a Quaker activist, broadcaster and writer. 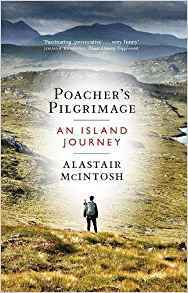 He is the author of a superb book – Poachers Pilgrimage. We discussed many things in front of a good audience in St Peters. 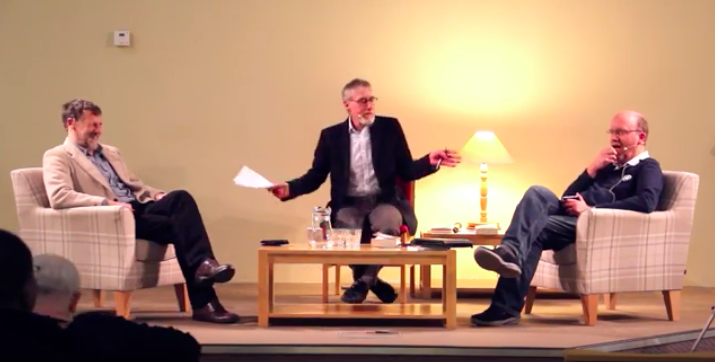 It may not sound the most riveting of evenings – over an hour discussing theology, history, the Highlands,church etc – but the most common reaction afterwards from those who were there was – “that was far too short”! Alastair wanted to talk about Calvinism, predestination, limited atonement, the character of God, forgiveness, Hitler, salvation and other things.. I very much enjoyed talking with Alastair….to my mind this was a respectful and fun conversation and yet also deeply serious. In my view, Alastair comes so close and yet at times so far. I found it all very stimulating and indeed at times moving. See for yourselves. A very quick hour and a superb discussion! If I was there I would have wanted to ask you both the following question, which troubles me. If Jesus left eternity to suffer and die on the cross, how does He now perceive that experience from His throne of glory? Is the pain and suffering as real to Him now as it was on the day of His Crucifixion? Does the Bible give us any clues to the answer? The pain and suffering was in time and space and is not for all eternity….but he is the Lamb looking as if he had been slain – in the midst of the throne. We will sing his praises for all eternity because of the Cross. On the Cross he suffered in a moment of time an eternity of pain. I agree with my friend the Wee Flea that “The pain and suffering was in time and space and is not for all eternity…” I would add that such pain and suffering represents Christ’s identification with all that it means to be both fully human, as well as being fully divine. I use the term “Christ” here to me the, or a, human face of God. Forgive me specifying that, but my position is interfaith albeit with a Christian emphasis. If you go to Iona Abbey, just inside the main door on the right, you will see tombstone effigies where the holy folks of long ago are portrayed as giving a two fingered blessing. It represents the dual nature of the Godhead, both immanent (in the here and now) and transcendent (outside of space and time). In short answer to your question, Christ stands both within (immanent) and outwith (transcendent) the suffering of the Cross, a.k.a. the suffering of the world. To me, and I speak as a Quaker probably with a strong whiff of heresy, the nonviolence of Christ’s teachings and life are central to understanding his mission. The Cross refutes the human logic of violence. The Cross absorbs the violence of the world. For “violence”, you can read “sin”. Some might counter, “But He made a whip….”? But that was to drive out the animals which were there for sacrifice. His overturning of the temple tables was an overturning of a blood-soaked system, a very human system, one that missed the mark. In saying these things, probably very inadequately, I am aware that my views differ from Calvinism. However, in his deep book, “The Person of Christ”, you will find some of these points are explored by Professor Donald Macleod, the former principal of the Free Church College. I would also recommend another Orthodox theologian, Olivier Clement, and his wonderful survey of the patristic sources, “The Roots of Christian Mysticism” (New City Press, 1993). Alastair, did you come to know God through the Bible, was that what convinced you? NB. : I asked David the same question. David, did you come to know God through the Bible, was that what convinced you? Logic, reason, evidence, Jesus, the Bible, the Spirit, the Church….i give a list in my book – The Dawkins Letters…. No, it was not primarily through the Bible that I came to my ever-fledgling sense of God. It was through what we Quakers call “convincement”. It was primarily when I read the Hindu scriptures – especially the Upanishads and Bhagavad Gita in Juan Mascaro’s Penguin Classic translations with their wonderful introductory commentaries by him – that I found a light to be shed on the scriptural context in which we were all raised on the Isle of Lewis (my primary school years in Leurbost were 1960-67 then the Nicholson 1967-73). I think I’ve always been drawn to the mystical, to spiritual experience. The Vedic texts mentioned directly address that. They spoke to my mind. However, when I came to read the gospels after them – especially the mysticism of John’s gospel, then it all fell into place. These days, my interfaith perspective remains very strong – I am reading Mahatma Gandhi’s translation and commentary with the commentary of his Secretary, Mahadev Desai, as my meditative reading at the moment. However, I also think that what Christianity brings to the table of world faiths is very distinctive. Especially so, for me, in its mystical understanding such as I find expressed most clearly in the writings of the Eastern (or Orthodox) Christian tradition, and in early Quaker writings. I study the Bible frequently, especially the gospels. To me, they have supremacy, though I love the later Hebrew prophets when in full poetic flow, and I’m particularly partial to the Canongate edition of the Epistle of St James in the KJV with its introduction by the Dalai Lama, who says that it reads like a Buddhist sutra. You might ask where I stand on Christ in all that. I see Christ as revealing God’s human face. That’s part of what I explore in Poacher’s Pilgrimage – going back to the Isle of Lewis. Reconnecting with deeply spiritual and mostly FC or C of S people (plus one famous atheist), and finding as I walked for 12 days through the Island that there was a sense in which it started to feel like walking deeper and deeper into the Godspace, into the heart of the holy Cross. What was the role of the Bible in that? A very light touch, and yet in some ways, I suppose central. It famed the narrative of reality into which I had the experience of walking. Thank you for your warm hearted reply. Since “convincement” really is the crux of the matter, can you please point me towards original Quaker writings on “convincement”; preferably to writing that is accessible via the Internet? That is a significant statement as it seems to me that unless he has a profound, not to say ‘a life-changing’, spiritual experience, a Christian has really got nothing to write home about, meaning; his Bible talk, if any, generally is mere empty talk. Forgive me if that sounds horribly judgemental, but because Jesus Christ himself spoke of the necessity to have a spiritual experience in order to be convinced, it is reasonable to think that swatting evil out of man, as in: “Can the Ethiopian change his skin, or the leopard his spots? then may ye also do good, that are accustomed to do evil” [Jer. 13:23] does not, in effect, get done by the Bible alone. I too find the Epistle of St James in the KJV stimulating as it too speaks of receiving from the Spirit with the caveat that religion pure and undefiled before God and the Father is impossible without receiving the Spirit. “You might ask where I stand on Christ in all that”. Not at all; on the contrary Alastair, you seem to be much nearer to the truth than most: I am very grateful that your walks into Godspace, as you say, are productive of thoughts (mediations) on Christ that you are prepared to express for the benefit of other seekers seeking after what the Bible manifests in a Mystery. Reply to Plainerrata of 8 Feb.
You ask for sources on Quaker “convincement”. A classic text from early Quakerism would be Rober Barclay https://qfp.quaker.org.ubk/passage/19-21/ A more recent exposition would be Geoffrey Hubbard’s book “Quaker by Convincement”. But look – I am in danger here of overstaying my welcome on the Wee Flea’s site! Because we Quakers believe that there are many ways up the same mountain, it is best if I point you most towards the equivalent of “convincement” in your own FC (or perhaps similar Presbyterian) tradition. That equivalent, if I understand Calvinism somewhat rightly, would be “effectual calling”. See, for example, Acts 16:14 – “… the Lord opened her beart…” There we see convincement based on direct spiritual experience. Bottom line: God’s verdict is determined by Christ alone; that is not in “assistance” with, say, Calvin or anyone else, and that for today and until Christ returns is extremely reassuring. The other day, I said I would take a break from commenting on here for a while but you keep posting items that are of great interest and relevance to me, so here we go again. 🙂 I promise this will be my last comment for a while before I have a little rest. The truth is that, although I am a Calvinist-leaning Anglican, I have spent some time with the Quakers here in Australia. I have occasionally attended their meetings and worked with them on some joint Christian pacifist activities between our two denominations. I respect the Quakers a great deal but I did feel something was missing when I attended the meetings, as lovely as all the Quakers were. I do think sola scriptura is doctrinally-correct and that there is an overemphasis on the verse in John that talks about the inner light. Ultimately, I have felt the Holy Spirit’s presence in Calvinist and Lutheran churches but it did not come to me in the Quaker Meeting House. That said, many Quakers I met were disillusioned Anglicans who had left because of church corruption or the cold, uncaring attitude of many bishops and clergy, both in Anglo-Catholic and Anglo-Calvinist dioceses. In many ways, Quakerism seemed like a protest movement that was allowing dissident Anglicans to live their spirituality and connect with God in a way that the Anglican hierarchy was stifling. Whilst I think that Calvinism is “more right” than Quakerism, there are aspects of Quakerism that Calvinism needs to adopt. I was extremely heartened to hear your confession towards the end, Pastor David, that Mr McIntosh’s book has almost made you become a pacifist. I pray fervently that one day, as your faith continues to mature and grow, that you will take the final step and fully embrace this position. God bless you and Mr McIntosh. Jean – your observations about the Quakers, or Friends as we call ourselves, would also apply to meetings in many parts of the UK and USA. We have become, as you imply, a place of refuge for many folks who have been seeking to explore faith, but have felt burned or left empty handed in other churches. Why is that? Because we do not have clergy, doctrines, creeds etc.. The emphasis is all on the movement of the Holy Spirit. You can walk in off the street to a Quaker meeting and stand up and minister if so moved. As such, Quakerism can seem to be whatever you want to make it, until such time as you start to realise that it’s about settling into stillness, and becoming open to the Spirit, and that such an experience starts to lift you beyond ego or intellect. The upside of this, is the richness that new people bring. The downside is … well, if you want to go there, see the reflection linked near the top of my website home page as the article about Thomas Merton and the Quakers, called “A Perilous Neglect”. When you get a lot of people who feel burned by the use elsewhere of God/Christ against their beliefs, sexuality, etc., then sometimes the wounded can be wounding. It’s a very human thing. Presently, I think it would be fair to say that some of us feel that we have been getting too far estranged from our Christian roots. This is especially so as we have had many atheist seekers coming to Quaker meetings, linked to a movement called “nontheism”. That can be a very honest position from which to search spiritually. But it can also be a downer on, for example, the Biblical basis of Quakerism such as John 1:9 (sometimes called “the Quaker text”) and John 15:15, from which we take our name as The Religious Society of Friends. 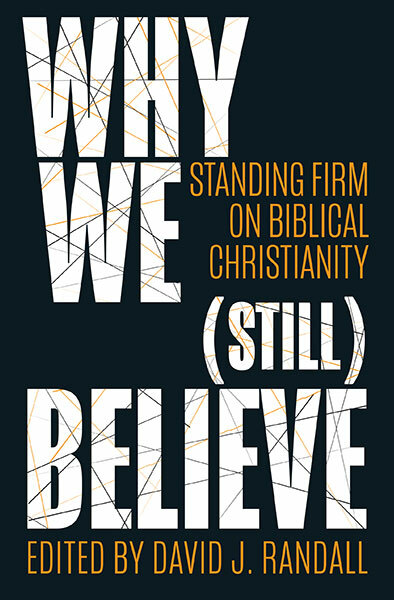 For me and some others, the challenges that all of this brings has led, ironically, to a deepening exploration of the radical Biblical tradition. That is why – irony upon ironies – I find myself these days often talking with Free Church folks when I’m back on Lewis and other evangelicals. I mean, who better to go to, to be put right (and kept right!) about aspects of scripture? That said, it’s important to add that the kind of evangelicals you get in Scotland, especially those of what is broadly called the Highland church, are not like your right wing prosperity gospel sorts that are found in some other parts of the world. Rather, it is about a gospel that has a very social focus. As such, I do not agree with key parts of, for example, the Westminster Confession of Faith or Calvin’s Institutes, but I feel enriched and sometimes peculiarly at home amongst the people of those traditions. They were, after all, in my own case the people who raised me on Lewis. I hope that makes sense and answers your question. This was a great discussion and it was extremely heartening to hear you are finally heading in the direction of becoming a Christian pacifist. Although you are not quite there yet, I am certain God will take you by the hand and continue to lead you in that direction – kicking and screaming if He has to! It is very encouraging and heartwarming news. God bless. Oliver – a long time reader of this blog. May I respectfully ask why you gave Alastair McIntosh a platform to share his spiritual beliefs, both in St Peter’s and now here on your blog? McIntosh has a public ministry, professing to be a Christian yet is a Universalist and interfaith proponent, denying almost every tenet of the Christian faith. He is at best agnostic regarding Christ’s physical resurrection and even states that he refuses to assert that ‘Christ is Lord’. Furthermore, he denies the existence of both Satan and the Fall, instead agreeing with Matthew Fox’s teaching on Creation Spirituality and the replacement of Original Sin with Original Blessing. He claims that Christian churches don’t have a monopoly on the movement of the Spirit, teaching that the Holy Spirit is to be found in all faiths. Neither, he has stated, does he see any conflict between nature religions and Christianity. It’s hardly surprising that he is an admirer of the work of the witch, Starhawk, a Wiccan high priestess and a member of ‘The Covenant of the Goddess’. Indeed, three of McIntosh’s books carry endorsements by her (including Poacher’s Pilgrimage HB). I listened to your conversation with astonishment as you made little or no rebuttal to his numerous anti biblical statements, instead, often giving the impression that you agreed with him. When he deliberately misquoted Scripture by calling God ‘her’, explaining that he likes to switch God’s gender, you made no comment, despite your rebuke of Vicky Beeching for having apologised for her use of the male pronoun for God. In a previous post you’ve stated, ‘The language used for God in the Bible is that of a male. It is God the Father. God is not ‘it’, He is a He! …Its not good for us to change the language we use about God to suit our culture or the fashions of the day. If we do so we will soon end up just creating not language but a God in our own image.’ Why did you not take the opportunity here to remind Alastair McIntosh of that? McIntosh went on to deny penal substitutionary atonement which you have previously stated is ‘the denial of the very core of the faith’ yet your response to his remarks were disturbing even, I think, surprising McIntosh himself. You’ve described his book Poacher’s Pilgrimage, as ‘superb’; the book carries your endorsement and it even appeared to be for sale at St Peter’s (This book also carries a back cover endorsement and a forward (American version) by Brian McLaren). You are therefore well aware that in this ‘superb’ book, McIntosh, like Steve Chalke before him, states that the God of penal substitutionary atonement is ‘The Great Cosmic Child Abuser’! However, unlike your response to Chalke (and Scott McKenna and Brian McLaren) you ignore this and instead tell McIntosh that he comes so close and that you are genuinely grateful for the insight he has given you. Scott McKenna was told he would have been excommunicated for holding this belief yet at one point you seemed to offer McIntosh membership of St Peter’s! Considering that all profess to be Christian, why the double standard? I realise that during a debate it can be difficult to respond to everything said, however in your post you make no attempt to offer a biblical response to McIntosh’s beliefs. Instead, you have let him use your blog to continue to spread his insidious teaching; failing to respond to his statement that there are ‘many ways up the same mountain’ and offering no comment when he recounts that it was through the reading of the Hindu scriptures (which he continues to meditate upon) that he came to his understanding of the gospels! In offering a platform to Alastair McIntosh you have given him an opportunity to undermine and attack the gospel. You may have found conversing with a false teacher to be fun, stimulating and moving but you will not find anything in Scripture to endorse what you have done. Because I dialogue and discuss with different people. I don’t endorse Alistairs views – as would be obvious if you listened to the debate. I made plenty rebuttals of what he said (although I agreed with a lot of what he said as well) but just because I didn’t burn him as a witch you are suggesting that I am endorsing him.! Personally I find your post and accusations illogical and deeply offensive. Your misrepresentation of what I said is a breach of the ninth commandment as is your suggesting that I endorsed his views on penal substitutionary atonement. There is no double standard. I did not give Alastair McIntosh an opportunity to undermine and attack the gospel (how insecure must you be in your faith to suggest that). I gave myself the opportunity to defend and proclaim the Gospel to the many who were there who do not know or believe it. Afterwards for example one man came up to me furious with what I had said – and with Alastair for allowing me to say it. I guess you and this gentleman should be introduced to one another – you are both fo the same spirit! I’m sorry that the conversation did not meet your high standards – but at least I had the conversation. I am reminded of DL Moody’s famous retort to those who criticised for the way he evangelised – “You may well be right, but I prefer the way I evangelise to the way you don’t”. I did listen to the debate, which you and Crawford MacKenzie kicked off by highly recommending McIntosh’s book; you then continued your endorsement of his book here on your blog. This book contains McIntosh’s view that the God of penal substitutionary atonement is “The Great Cosmic Child Abuser”, his denial of the existence of Satan, his admiration for the Hindu scriptures and such interfaith blasphemous statements as “Here is where the teachings of Jesus become such a rich contribution to the table of world faiths.” I certainly don’t believe that you hold to these views (and didn’t say so) but by so strongly endorsing his book you’re in danger of giving the impression that you either do, or that you are unconcerned that McIntosh does (and since McIntosh professes to be a Christian the latter is indefensible). I don’t care how beautifully written a book is, if it presents a false gospel then we should have nothing to do with it. You clearly didn’t offer a rebuttal to all his unbiblical statements made during the debate (God as ‘She’, Panentheisim etc.) and you’ve certainly offered none to those he has made here including “many ways up the same mountain”. Nowhere in my comment did I bear false witness against you. I didn’t say that you endorsed his views on penal substitutionary atonement; quoting your response, “you are so close” clearly isn’t saying you are endorsing them. You further muddied the waters by thanking McIntosh for having given you an insight for which you were genuinely grateful (is there any example in scripture where a Christian receives spiritual insight from a false teacher?). Considering that you were well aware that his teaching on the atonement mirrored that of Chalke, McKenna and McLaren, I was questioning how your response here could be so far removed from your stance against them (you’ve described their teaching as “from the pit of Hell” and “anti-Christ”). There are times when you certainly do operate a double standard. I’d hoped that you would have responded to my comment by addressing my concerns, instead you have ignored my points preferring to launch a personal attack against me. I don’t doubt that you want to defend and proclaim the gospel (though you have no right to ignorantly suggest that I don’t) but you had no biblical precedent to stage such a conversation. Alastair McIntosh advocates a different Jesus, a different Spirit and a different gospel yet you failed to make that clear, instead welcoming him as a friend and praising his work. Nowhere in scripture is there an example of Jesus or the apostles sitting down with a known false teacher for a public fireside chat. Jesus never sought a public conversation with the Pharisees but rather a public censure, leaving the crowd in no doubt as to the Pharisees errors, calling them out in forceful, unambiguous language. And Paul (full of the Holy Spirit) didn’t seek to initiate a conversation with the false prophet Bar-Jesus, choosing instead to publicly lambaste him for his attempts to make crooked the straight ways of the Lord; and he certainly didn’t hug him when he was finished! I recommended the book as a travelogue – not as a theological work – nor did I, nor do I agree with everything in it. That should have been blatantly obvious, but it appears you are on a wee heresy hunt and determined to think the worst! The point about the Scott McKenna debate was precisely the opposite from what you state. I debated with Scott precisely because I wanted to defend the Gospel and attack and undermine Scott’s theology. Much the same reason as my discussion with Alaister. You accuse me of a double standard because I chose to discuss and debate someone with whom I disagree. I find your approach pharisaical and biblically nonsensical. Actually Jesus and Paul did often sit down and discuss with those who were in disagreement with them. Your one size fits all approach (yell at them) is not biblical. Imagine Paul quoting a pagan philosopher without condemning him? Next Next post: In The Market – with Janet Parshall – Politics, Ethics, Theology..